In historical research, it has been demonstrated that some days of the week have indeed been better than others for buying and selling shares. However, since finance and economics is generally not a pure science, conditions for verifying such a pattern are limited to scenarios that are not necessarily perpetually accurate or realistic representations of broader market conditions. 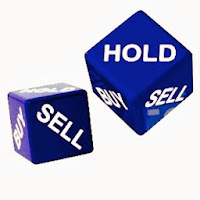 Days of the week to buy and sell shares change with the prevailing market and share related conditions, but don't necessarily fail to demonstrate some indication as to which day of the week is better to buy or sell shares. The best day of the week to buy shares and the worst day of the week to sell shares conforms more to the logic of the time and the place than any pre-established long-term pattern. Trends and patterns present themselves in the stock market all the time; this much is documented. For example, in the Journal of Economics and Finance, Volume 25, number 2, 2001, it was empirically demonstrated that the days of the week do not have the same volatility in price movement and also do not provide the same levels of daily returns as evident in statistical research on the S&P 500 Stock Index between 1973-1997. According to this particular study, the days of the week with the best returns was Wednesday, and the day of lowest return was Monday with Fridays having the highest volatility. Such being the case, it would appear as though some time during Monday would be the best day to buy shares, and at some point on Wednesdays would be the best day to sell shares. The findings in the aforementioned study may be convincing, but they aren't absolutely conclusive. This is because the time periods in which the measurements were made are finite within a longer market timeline. For example, in the book 'Stock Market Rules' it is claimed the market tended to drop on Mondays and rise on Fridays for a period of 37 years between 1953 and 1989. Also according to the book, this Monday decline pattern changed in the 1990s essentially providing a counter claim to any definitive long-term day of the week effect. A problem with quasi-scientific research is variance within the shares studies themselves. In other words, because the conditions are different across studies it is difficult to prove any universal accuracy of finding no matter how statistically valid any single study is. To demonstrate this principle, it is helpful to look at another 'day of the week effect' research study by Yelis Yalcin of the Gazi University Department of Econometrics and Eray M. Yucil of the Turkish Central Bank. The findings from this study show the best days of the week to buy and sell shares varies across multiple emerging markets indicating no one good day to buy shares or bad day to sell shares across multiple markets. Many studies make use of averages to verify hypotheses about particular events or subjects. In the case of days of the week for buying and selling shares this tends to exclude the individual price movements of shares. Such being the case for some shares Monday may be the best day to buy shares and the worst day to sell shares, but at a different time, or in the same market with different shares this may not be the case. This is because the underlying financial conditions of a company or financial instrument which the shares represent can vary and influence price independently of market movement. This tendency is measured by a statistic called the Beta coefficient. In summary, if investors or traders can act on shorter-term patterns in which recognizable share price movements do occur, then there may indeed be a best day of the week to buy and a worse day of the week to sell shares in that context. The bottom line however, is that any pattern, trend or market condition can change with a multiplicity of market, economic and share specific variables that are not easily nor accurately accounted for or measured using empirical research techniques.